I had a British boss a long time ago and he had some interesting expressions including "if you can't get ahead, get a hat." I'm guessing someone, maybe me, had worn a hat to work and he said it. Anyway, any occasion to buy a hat is okay by me! I wear a winter hat because it's cold, but when I was in TJ Maxx yesterday I decided that I needed to incorporate some Fall hats into my wardrobe, as accessories vs necessities. TJ Maxx is the perfect place to experiment with new looks, because the prices are inexpensive. I ended up buying a men's style fedora in gray felt and a floppy hat in beige for $20 each. Both are 100% wool. I think they were worth it! 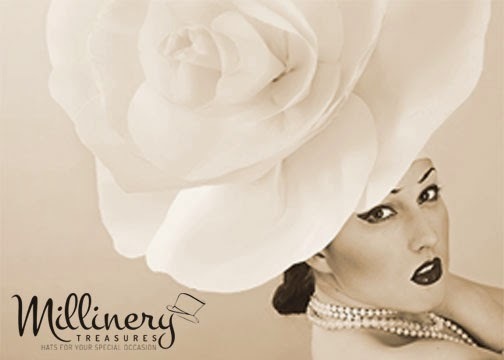 Foppy hats are vintage Fay Dunaway from the 1970's and since 70's style is in right now I'm loving this look. Oversized sunglasses or a pendant necklace go well with a hat like this, but keep it modern lest it look too costume-y. Fedoras come in a variety of styles. I like this one with a skimpy brim. I love this hat, but it also needs to be worn with modern pieces. No trenchcoats, or you could end up looking like Harriet the Spy.